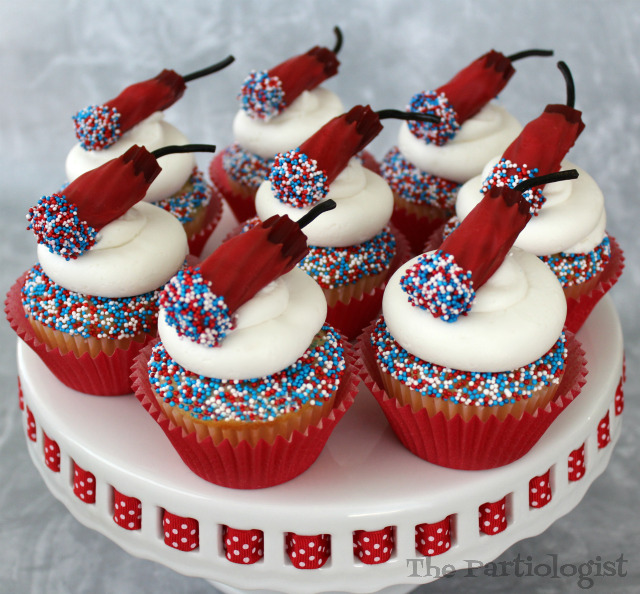 The Partiologist: Licorice Firecracker Cupcakes! 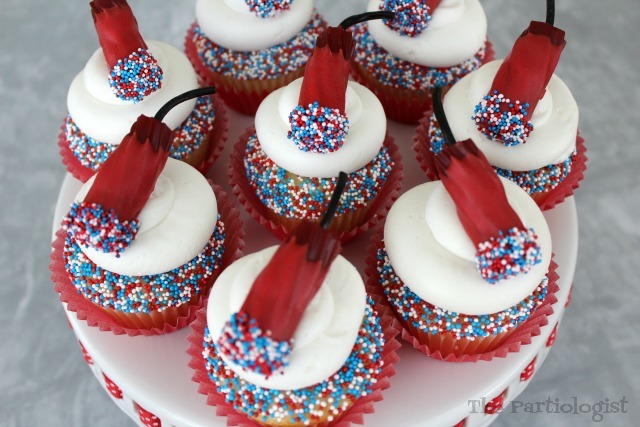 Looks like I better hurry up with this post before the fourth is over and I eat all the licorice. Don't worry, I bought two bags of licorice just in case...good thing. First I was going to serve the little licorice bites alone, but then decided they would look super cute on a cupcake. So on the cupcake they went. Don't let them fool you, they were simple to make. Start with a black licorice wheel. Unroll the licorice and pull apart, cut into small 1 inch pieces. Open a bag of large round licorice, I found these at the dollar store. Insert a wooden skewer into the licorice, making a hole for the black licorice "wick". Insert the black licorice into the red licorice. Dip the bottom of the licorice into the candy melts. After the melts have dried, dip the bottom of the licorice into karo syrup. Lay on parchment to dry. Next, bake and freeze your cupcakes. 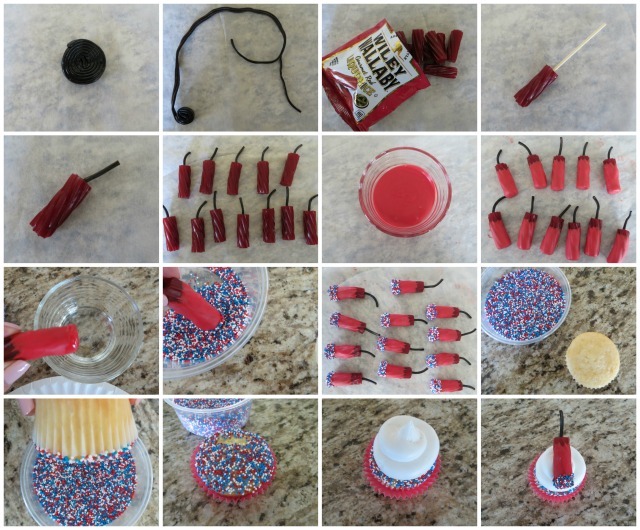 Take the cupcakes out of the freezer and before they are completely thawed, dip into sprinkles. Pipe white frosting onto the top of the cupcake. 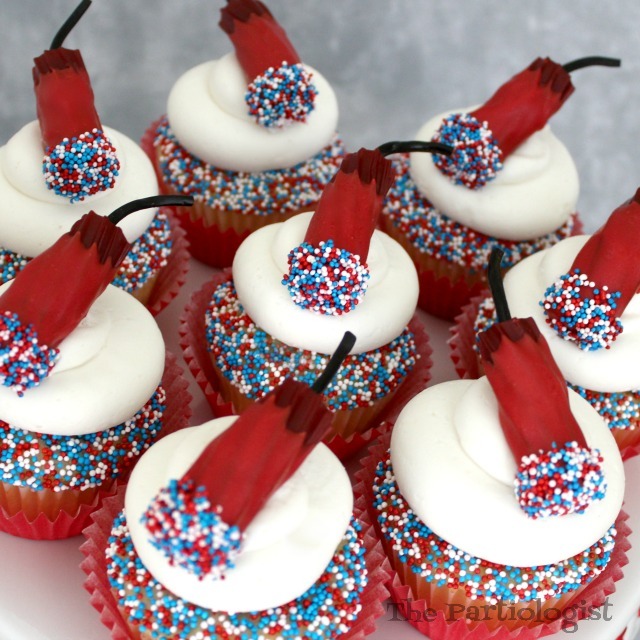 Place the licorice firecracker on top. Now everyone will have a blast eating them! This is such a fun and easy idea. 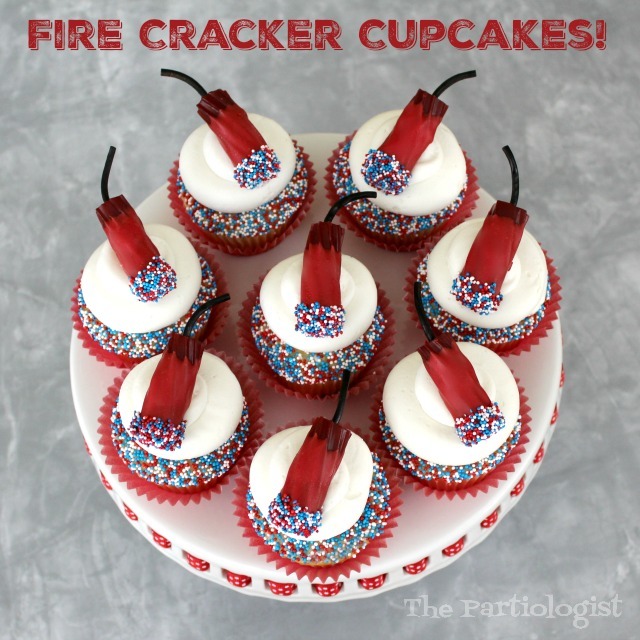 I love that you added the firecrackers to cupcakes. 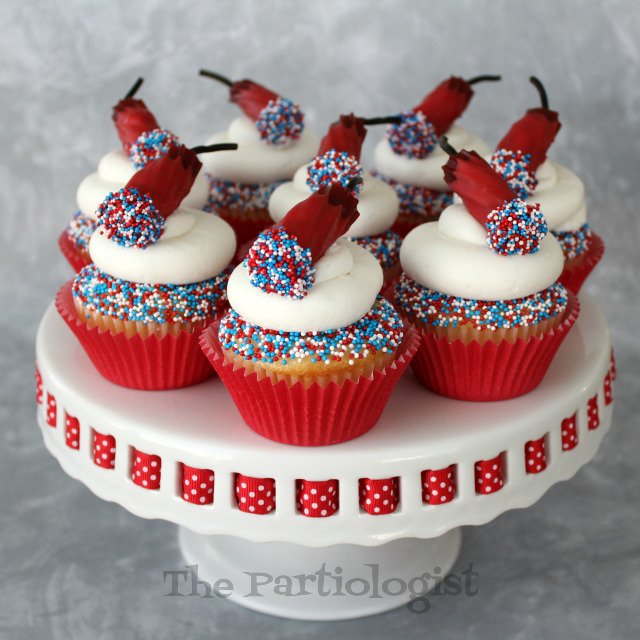 They make a perfect dessert for the 4th of July.